We offer high quality and cheap price PWM Solar Controller and MPPT Solar Controller. There has Tracer, LandStar,ViewStar and SeaStar series Solar Controller.Such As,1210RN,1215RN,22010RN,2215RN,3215RN,4215RN and Other type PWM controller on hot sale..all above types solar controller are widely sell over 50 countries. How do the Solar Controller Work? A Solar Controller, or solar regulator is similar to the voltage regulator in your car. It regulates the voltage and current coming from the solar panels going to the battery. Most “12 volt” panels put out about 16 to 20 volts, so if there is no regulation the batteries will be damaged from overcharging. Most batteries need around 14 to 14.5 volts to get fully charged. Not always, but usually. Generally, there is no need for a Solar Controller with the small maintenance, or trickle charge panels, such as the 1 to 5 watt solar panels. A rough rule is that if the panel puts out about 2 watts or less for each 50 battery amp-hours, then you don’t need one. For example, a standard flooded golf car battery is around 210 amp-hours. So to keep up a series pair of them (12 volts) just for maintenance or storage, you would want a panel that is around 4.2 watts. The popular 5 watt panels are close enough, and will not need a controller. If you are maintaining AGM deep cycle batteries, such as the Concorde Sun Xtender then you can use a smaller 2 to 2 watt panel. What is the different from PWM and MPPT Solar Controller? iTracer is an industrial grade product with advanced Maximum Power Point Tracking (MPPT) algorithm. It can deliver the maximum available power for charging batteries and charge a lower nominal voltage battery from a higher nominal voltage array. And can be applied in the off-grid PV systems up to 3KW. The die-cast aluminum design ensures excellent heat dispersion. 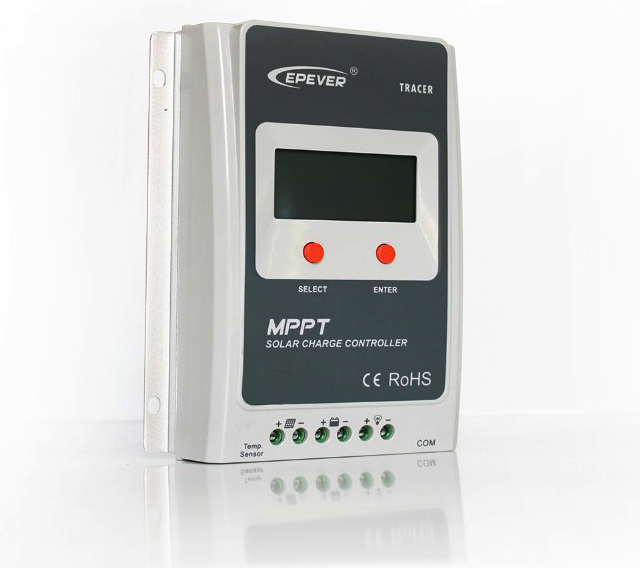 Tracer MPPT Solar controller adopts MPPT technology (Maximum Power Point Tracking). The advanced tracking algorithm make the solar module operate at ideal voltage which the solar modules can produce the maximum available power. Compared to conventional PWM controller, MPPT technology increase charge efficiency up to 30% and decrease the power of solar array needed. Tracer MPPT Solar controller has the ability to step-down the higher voltage solar array to recharge a lower voltage battery bank. Max. 150VDC input. So it allows on grid solar modules or thin film modules to charge the off-grid battery. And the cable size can be reduced because of the small current from the solar array. 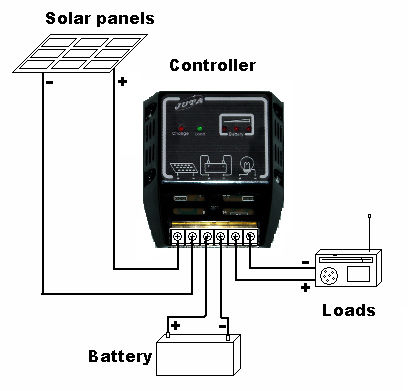 The Tracer series MPPT controller is for off-grid solar system and control the charging and discharging of the battery. Tracer MPPT Solar controller features a smart tracking algorithm inside that maximizes the energy from the solar PV module(s) and charge the battery. At the same time, the low voltage disconnect function (LVD) will prevent the battery damage from battery over discharging. LandStar series solar controller that adopts the most advanced digital technique and operates fully automatically. The Pulse Width Modulation (PWM) battery charging can greatly increase the lifetime of battery. >>LSxxxxS —–Ideal for surfacing mounting solar system. ViewStar series solar controller is our new generation controller for off-grid solar system, such as street light, solar home system or small power station etc. It has LCD display, reliable battery charging, full electronic protection, programmable parameters and other features and powerful function. EPIPDB-COM series solar controller can charge two battery banks. No load terminals.It could used for charge For RVs, Caravans and Boats etc. >>Wincong solar controller,Cheap price and high quality,with timer and light sensor. >>CMP12 PWM solar charge controller ,first choose of economy solar plan.